To promote the new season of 'Outlander', Caitriona Balfe attended Paleyfest in New York on Friday(October 5th). 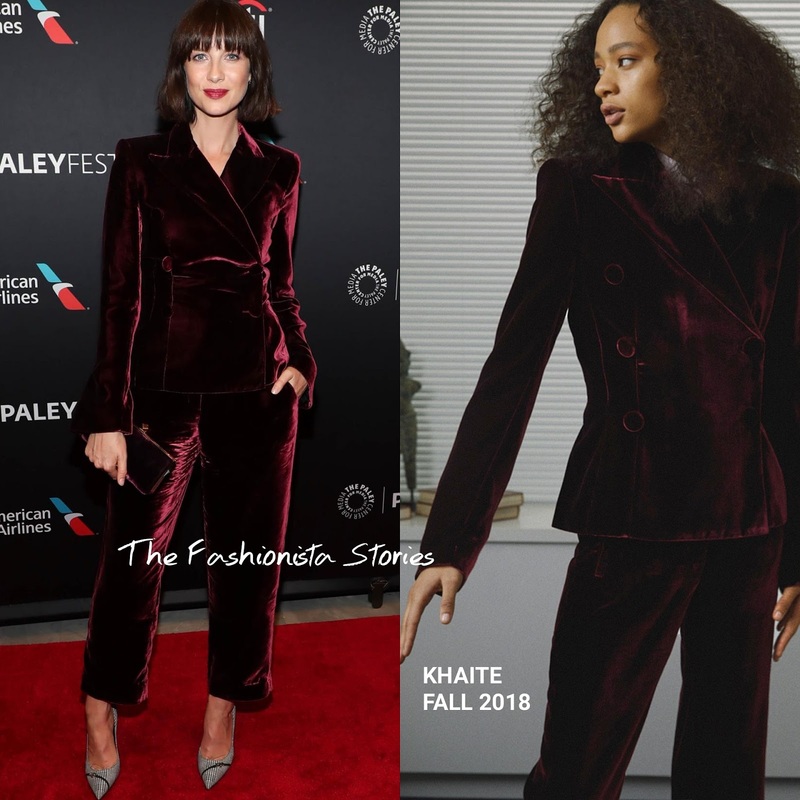 For her appearance, she wore the KHAITE FALL 2018 'Cathy' merlot double breasted blazer with the matching crop pants with side pockets which she utilized. What helped to tie Caitriona's look together, are the GIUSEPPE ZANOTTI plaid pumps. They enhance her look which could have come off as boring had she gone with basic pumps. However the matching clutch gets lost next to her trousers. What do you think of Caitriona's lool?